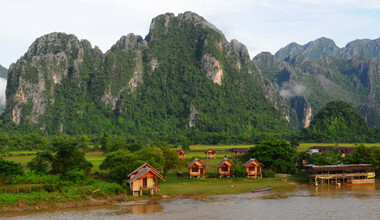 Journey to the heartland of Southeast Asia and experience the beauty and wonder of Laos tours. 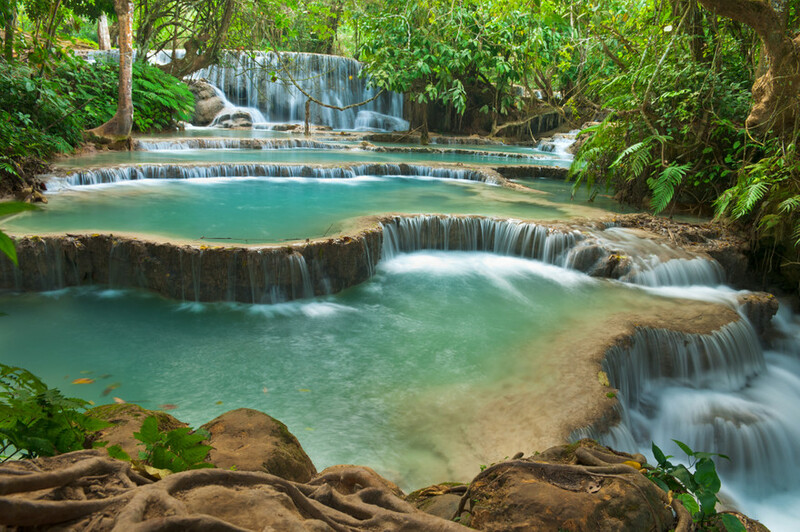 Often overlooked as a popular tourist destination, you’ll find Laos is a place quietly waiting for you to discover. If you’re in search of a once in a lifetime, highly personalised travel experience, this is the one. For a last- minute (2 weeks before departing) private tour... the arrangements were spotless. Your first impression will likely be the relaxed nature of virtually everything – an impression that will resonate your entire Laos holiday. This is what sets Laos apart from the rest of Southeast Asia and makes it such a special country to visit. Take it all in. Otherworldly beauty is everywhere – from the steep mountains and low river valleys of the Annamite Range in the east, to hypnotic pink sunsets over the Mekong River in the west. 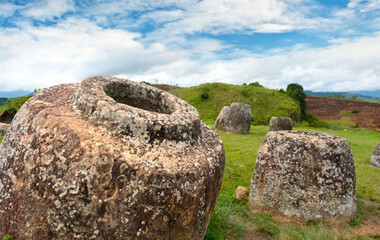 The mysterious Plain of Jars on the northern Xiangkhoang Plateau is a marvel to behold. 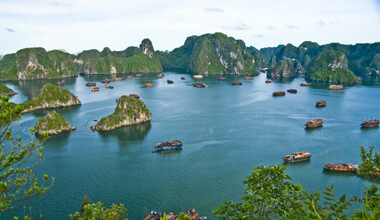 Whereas the 4,000 Islands in the southern Mekong Delta is worthy of an entire Laos holiday of its own. From ancient Buddhist temples and Hindu ruins that date back two millennia, to colonial French architecture - and even hints of the 21 Century - Laos transcends all limits of expectation. Laos is divided by two distinct regions - north and south. Since trips to Laos offer such an extraordinary array of sights and activities, most choose to visit one or the other region. 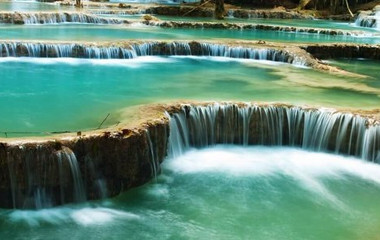 Depending on the length of your stay, however, you can surely decide to travel Laos from top to bottom. Our Laos travel packages offer customised round trip Laos tours, as well as combined trips to Laos which include Cambodia and Vietnam. Vientiane is an ideal first stop to embark on your exciting round trip Laos tour that lies ahead. Among the capital city’s antiquated colonial French architecture, venerable religious temples and national monuments, you’ll find a transformative city undergoing modern changes. Still, Vientiane exudes a laid-back charm that’s unmatched by any other Southeast Asian capital. Heading north. From one capital to another. 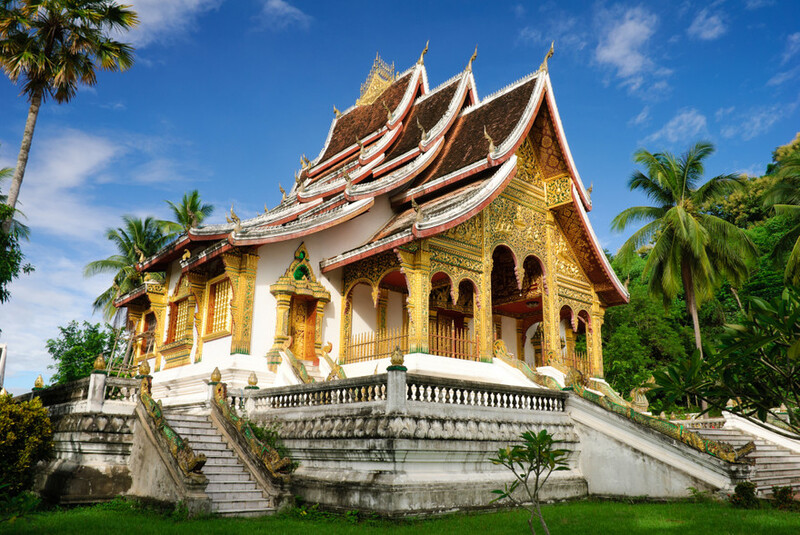 Luang Prabang, the cultural capital of Laos, is a UNESCO World Heritage Site with over 30 gilded Buddhist temples. 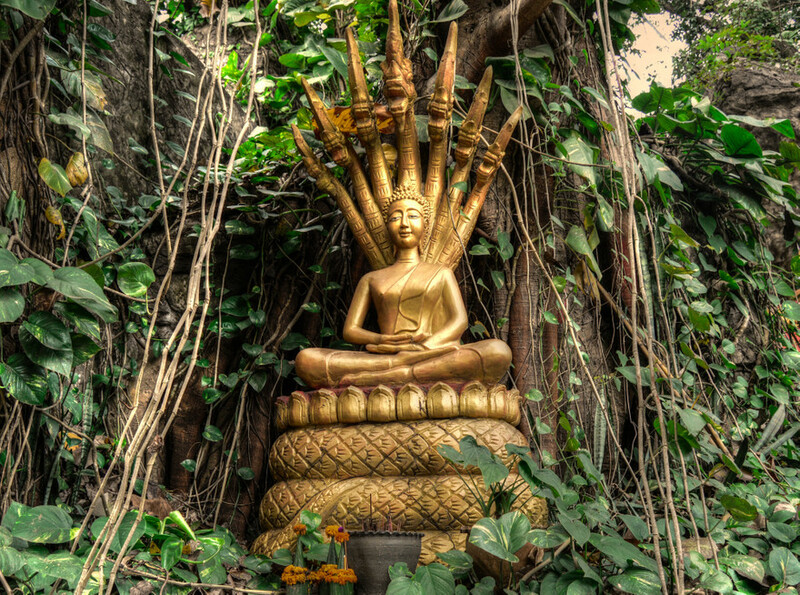 The most visited tourist destination in Laos still maintains an aura of blissful serenity. Mount Phou Si in the town’s center is the ideal spot to conclude an eventful day of temple hopping. With its gorgeous panorama of Luang Prabang, watching the gentle sunset over the Mekong is as close to a spiritual experience that you might ever achieve. Observe rural life as you day-trip along the Mekong to the awe-inspiring Tham Thang cave and its over 3000 Buddha statues within. Bike through the delightful Phosi Market, and take a swim in the turquoise pools under the Kuang Si Waterfalls. Going south. The road less travelled. Pakse, the capital of Champasak Province, is the gateway as you travel Laos southward. Here you’ll find the vibrant and expansive Dao Heuang market, arguably one of the finest morning markets in all of Laos. The scenery becomes more alluring as you continue through the coffee and waterfall region of the Bolaven Plateau. Travel by bike or scooter where coffee farms and plantations are abundant. Along the way, the magnificent twin waterfalls of Tad Fane, cascading from a height of over 100 meters, will be sure to stop you in your tracks. Near the border of Cambodia rest the 4,000 Islands. This lazy and vast archipelago, with its idyllic surroundings, is mostly uncharted. Here, you’ll find paradise on the Mekong - one you could only ever have imagined before - peacefully awaiting your arrival. 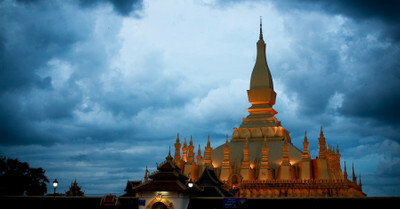 For a small country, Laos is replete with things to see and do. To make the most of your Laos vacation, a Laos private tour guide will organise every detail of your itinerary ensuring you won’t miss a thing. Choose from our Laos tours packages or customise your own. 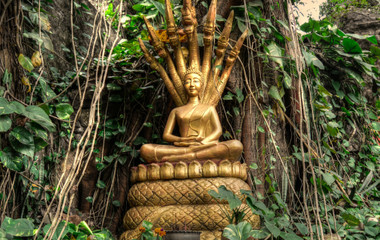 By offering expert local knowledge, your Laos holiday is certain to be one of a kind. Vientiane, the capital city of Laos, has a distinct small-town feel in stark contrast to the more bustling capital cities of Southeast Asia. And while modernization is gradually catching up to it, the pace remains slow with a relaxed atmosphere that’s welcoming and inviting. 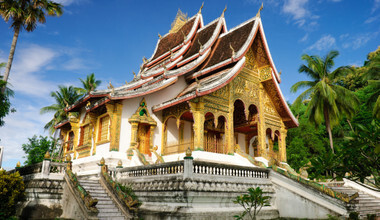 Luang Prabang is a picturesque town surrounded by conspicuous green mountains. Built on a peninsula where the Mekong and Nam Khan Rivers join, Luang Prabang is often referred to as “Jewel of the Mekong.” Within the hills you’ll find a harmonious mix of traditional Lao structures and faded colonial French facades. This enchanting northern town is arguably one of the most beautiful places in Southeast Asia and destined to be a highlight of your Laos vacation. 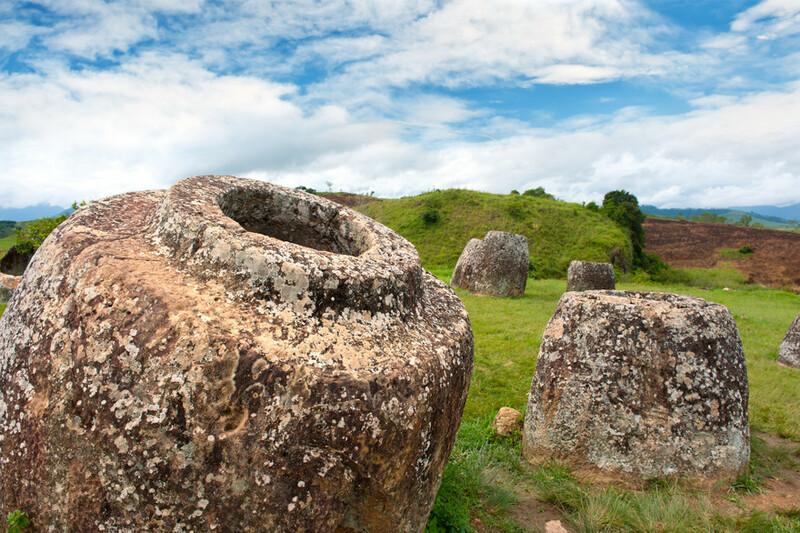 Lying in ruin and scattered over the highlands of the Xiangkhoang Plateau you’ll find the Plain of Jars, a phenomenal archeological site believed to be 1,500 to 2,000 years old. A sprawling cluster of large stone jars weighing up to 14 tons, no one knows exactly what their original purpose was. It’s definitely a sight to behold. The Bolaven Plateau in the highlands of southern Laos, with its pristine landscapes and spectacular waterfalls, is heaven on earth. Rent a motorbike and tour the sprawling coffee plantations the region is famous for. Encounter multitudes of wildlife as you trek through its lush rainforest – home to tigers, elephants, monkeys and over 300 species of birds. Travel local with a local expert. trip.me offers a trusted online platform where you can select, personalize and book trips directly with our hand-picked selection of outstanding agencies worldwide. Our select Destination Experts possess an intimate knowledge of Laos regions, customs and cultures because they’re professional travel agents who live there themselves. We’ll connect you directly to one of them. From the planning stages to your arrival in Laos, and throughout the duration of your visit, a local expert will ensure your itinerary runs without a hitch. Customize a Laos tour according to your own personal interests and receive up-to-date information about your trip from your local expert there on the ground. trip.me personally select all of the local agencies we partner with to ensure they share the same passion for travel and high quality standards. We offer over 500 trips worldwide and every tour displayed on our website has undergone a thorough vetting process judged on uniqueness, adventure, excitement as well as other relevant and meaningful criteria. Nga was responsive and very quick to reply. Ok on board my criticism of the substandard Pakbeng accommodation and said she would investigate alternatives. It was a wonderful trip for us to learn more about Hanoi as it is the first time for us to travel to the destination. The choice of hotels was good with good food and service. The provision with guide and driver is very helpful indeed without the hectic of planning for transportation and sightseeing spots. I think it is good to have a list of recommended eating places so that it can save us some time to look around during our free time. All in all, we are thankful to Nga having arranged this splendid trip for us. We also have to thank the surprise in arranging the birthday cake. It was delicious. Will definitely recommend trip.me to others. Many Thanks! The trip was great! Active to go to look at new places, lazy with sunbathing and very tasty at dinnertime! All we need from vacation! Nga communication was good, kind and fast in connection.